Summer Fancy Food Show that takes place in New York City since 1954 is the largest food exhibition in the United States – the largest food marketplace of the World. 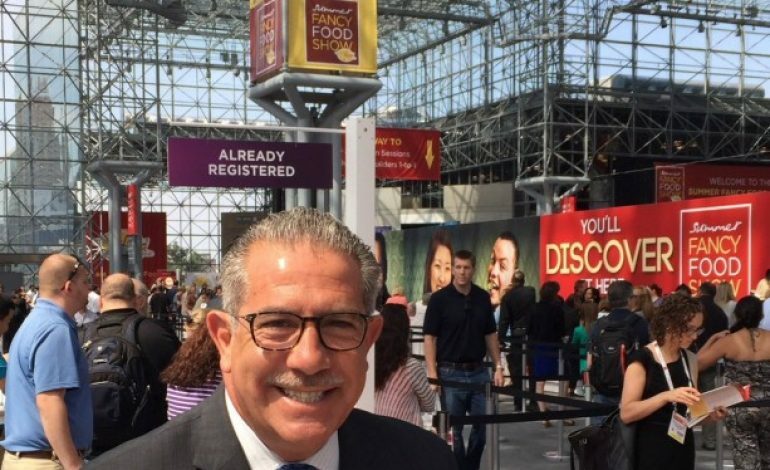 Over 83 countries are taking part in the 64th Summer Fancy Food Show, at the Javits Center in Manhattan, from June 30 to July 2. The Show attracts over 50,000 people, most of them sophisticated buyers, representing the biggest food chains, restaurants etc. This year, Greece is the partner country, meaning it will take the center stage at the Summer Fancy Food Show. There are 43 Greek exporters exhibiting Greek food products with the support of the Enterprise Greece Corporation. The Minister of Agriculture Evangelos Apostolou, along with Archbishop Demetrios, will inaugurate the Greek Pavillion, on Saturday June 30, at 10 am. The Fancy Food Show is organized by the Specialty Food Association, a corporation with over 3,600 members in the US and abroad. Its president, since 2016, is Greek American Phil Kafarakis, an executive with vast experience in the food industry. 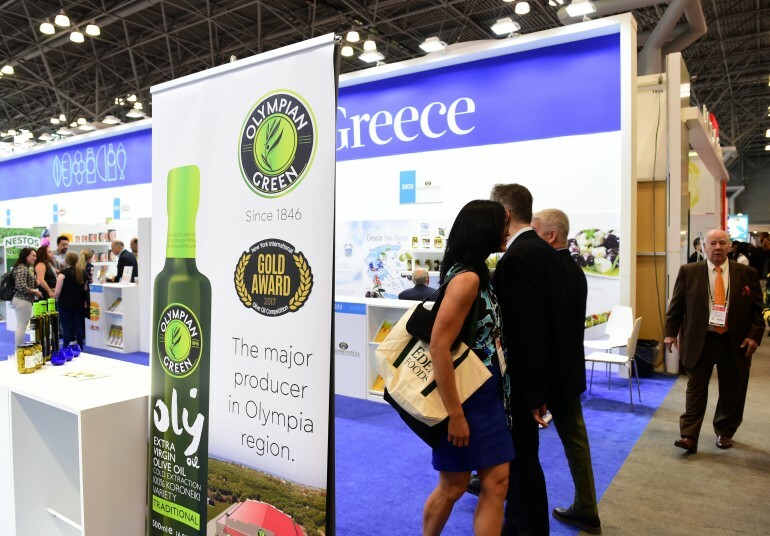 “Greek News” spoke to Phil Kafarakis about the benefits for Greece being the partner country, the prospects for the Greek food exports in the United States and what the exhibitors should pay attention to at the show. Phil Kafarakis expresses optimism about Greek foods, because he sees the producers and exporters finally coming together. One thing he tells his Greek friends, is to do the same thing Greece has done with tourism. What is the importance for Greece to be the partner country at this year’s Summer Fancy Food Show? For me personally, it is an amazing accomplishment, but it was perfect timing. Greece was at a place that 2018 is a big year. This is my second year as president, some of the conversations were already in the works and it was my job to close the deal. So, in talking to the “Enterprise Greece” I played a role in making sure that they understood the value of investing in something like this. For me it was important to make sure that we delivered all the marketing and the promotion and exposing the Greek companies that are there to the buying community that we bring in. So they have an advantage in meeting those people. The other big thing that is part of the partner country, that we created this year, was a training program. I was literally in Athens few weeks ago and I spoke to the companies that will be coming and thinking of being in the American marketplace; so they can understand the U.S. market. We talked about the truth of what it means to be in the U.S. marketplace. I think that was important, because the more education and training we can give to companies, the more of an advantage they have. I follow the Fancy Food Show for over 25 years and I see the buyers are having many choices. What do they need in order to make their choice from the many similar products of many similar companies and different countries they see and taste? There are a couple of things that are happening in the marketplace right now. The food business in the US is going through massive disruption. It is almost like when the internet started. It’s not about an olive; it’s about where the olive came from. What’s the story; where was it made; how was it made; who cultivated it; what are the attributes of it; how does this story gets into something that the consumer understands. So, the buyers are trying to figure all that out. It’s not just “give me your price” or what is the chemical content of the olive oil, and how many awards did you win. This is over! Now it’s about the whole package. So, the competitive nature of being able to put that together for a buyer and give it to him so he can use it in his format. It’s one thing to talk to the guy from Whole Foods, it’ s another thing to talks to the guy from Dean & DeLuca and another to talk to the guy from Nordstrom’s who has a holiday program and wants to give you business. And it is another thing to talk to the guy from convenient stores, or a restaurant guy. It is important for these companies to understand where they fit in. That’ s what I was trying to tell the Greek companies. Don’t be scared of the marketplace. It is complex, but if you understand your strength and you know what you have got in a product, and then be focused how you are going to inter, and that is what helps the buyer. A buyer is going to go down the aisle and say, this an olive for 2.25 a pound, then goes to the next taster and say 2.24 etc. Well, those days are over! What Greece has today that it didn’t have 5 or 10 years ago? A.- What I am proud for is that they thought this through. They have little more marketing and understanding of the marketplace and the one thing I am very proud of them is that finally they are coming together. It is hard, but I believe, I have seen and that’s why I am personally committed to this. They get this, that if the pie gets bigger everybody is going to eat a big piece of the pie. Δεν είναι να βγάλουμε ο ένας το μάτι του άλλου. Ι have seen that and I believe in it. It’s going to take a little more time because we still have people that are not believers, but if we just get together …. One thing I tell my Greek friends is, the tourism did it! 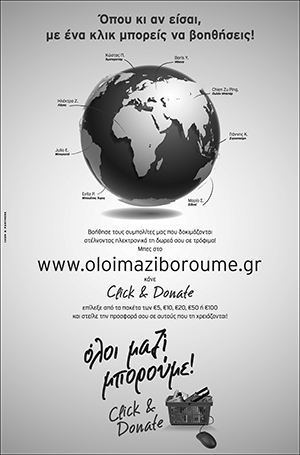 If you see the advertising campaigns and what people are doing in Greece around tourism! They talk about Greece, but also the uniqueness of Corfu, Mykonos, or Santorini. If we do the same with the food, we will be the number one in the World; nobody will stop us. How could these companies capitalize on the fact Greece will be the partner country? Every time a buyer walks up to the booth, the whole time they got to be smart, happy and on top of their game. They got to talk about the whole process of what they are doing. They must take advantage of this; they got to close the deal and get the information from the buyer; they can’t get a no for an answer. You cannot say I need to go smoking, or plan my trip to New York City and go shopping. You have 3 days and you should use them. Be on your game. We used to focus on olive oil, olives, feta cheese and few other products. Tell me some other fields with good prospective? Jams, jellies, dry nuts; honey and some incredible honey snack bars; madolata; food bars; some of these categories that you traditionally don’t see have high mark and are growing. They have high margins and you can get in them fast. It’s not anymore about selling millions of pounds of olive oil, or cheese. Greece has great products and dry foods and nuts is a category. Fish and vegetables are other great categories. I am glad that when you will visit the Greek pavilion you will see great diversity of product selection. With all the talk about U.S. imposing tariffs on EU products, do you think this will heart Greece and other members? It’s a fact of business. Tariffs are going to heart, but we can’t control tariffs. Sometimes they happen, sometimes they don’t. It’s a political ploy, who knows what is going to happen? 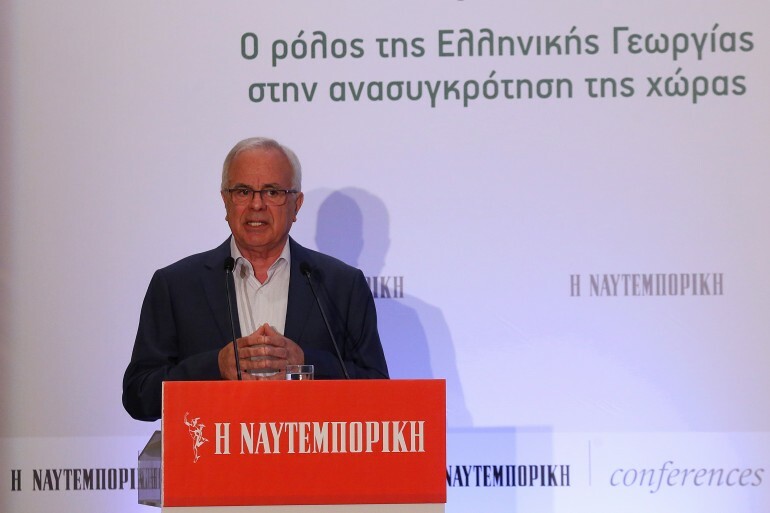 My advice to the Greek companies and any one of our internationals companies it to pay attention to what they can control and the market place will take care for the rest of it. Just be informed of what is going to happen when, but you can’t plan for these things. Sometime they are rhetoric, sometime they happen, but just focus of what you can control and you are going to do just fine. 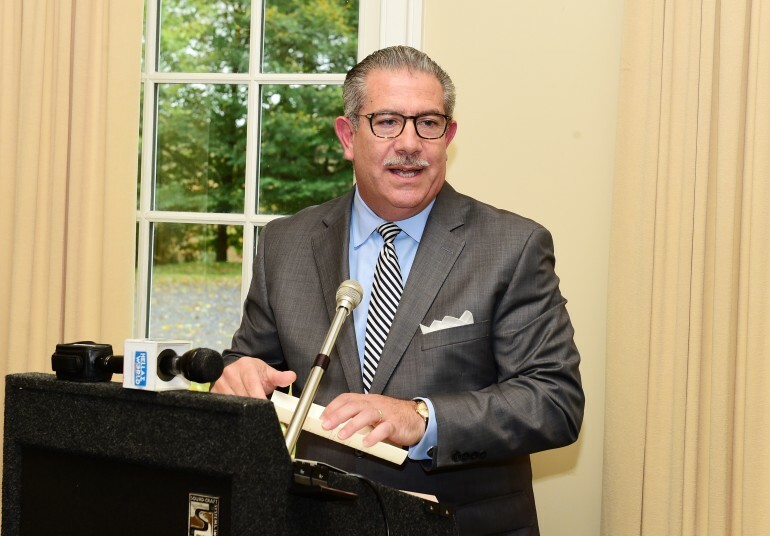 Phillip M. Kafarakis was appointed by the board of directors of the Specialty Food Association on July 21, 2016, President. He is responsible for the strategic direction and day-to-day operations of the Specialty Food Association, which serves more than 3,200 innovative, entrepreneurial member companies in the food and beverage industry. Kafarakis brought more than 30 years of food industry experience to the Specialty Food Association, with a background in innovative brand management, membership development, and strategic planning. Since May 2013, Kafarakis served as chief innovation and member advancement officer for the National Restaurant Association, based in Washington, D.C. The National Restaurant Association is the world’s largest foodservice trade association, supporting more than 500,000 restaurant businesses in a $780 billion industry. Prior to that, Kafarakis spent 10 years with McCormick & Company in Hunt Valley, Md., a $4 billion public food company. Kafarakis has also held executive leadership positions at Cargill, Jones Dairy Farm, and Kraft. He has a bachelor’s degree in marketing management from Northern Arizona University and an MBA from Georgetown University.